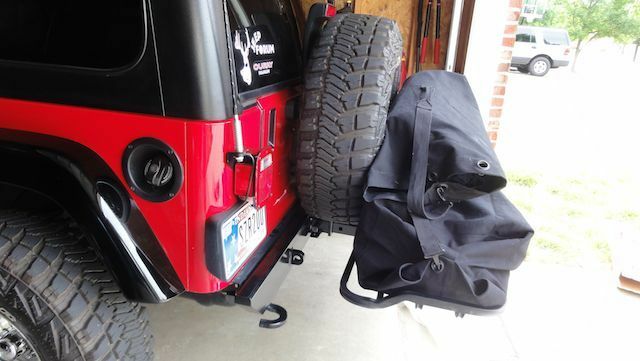 Comments: I have an AtoZ rear bumper with a real 2" built in receiver that sits right below the spare, and this will help out a lot for camping trips. 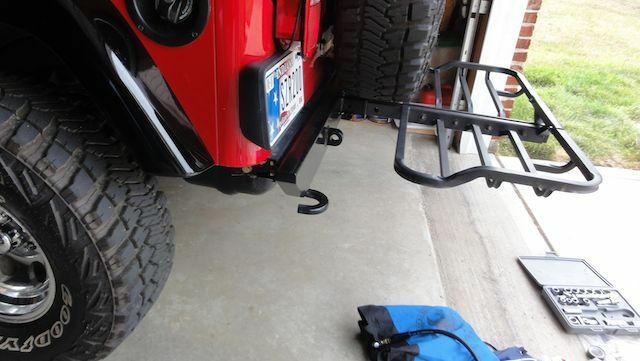 It's a decent rack for a Jeep as it's not too big and too heavy. You know going camping with a Jeep is like going hiking... everything has to be as light as possible and compact so this helps! Unfortunately the tire doesn't clear it on the right side when I open the tailgate, but that's fine as I wouldn't be able to open the tailgate anyway with stuff on the rack. It's easy enough to remove from the hitch. 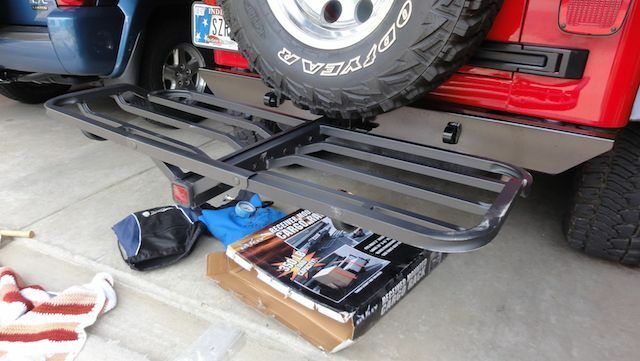 Plus, I can put a pad on it and it's great for sitting on (like a tailgate!). It was easy to bolt together, but it could use an extra coat of paint. It's also a little lose in the receiver, but I put several wraps of electrical tape around it so that it's tighter in the receiver. It's also adjustable in the receiver, as to how far it sticks out, however it has to be all the way out at least with my bumper. I would slide it in further if possible. But still it sits up high enough for clearance. I'll just leave it at the campground when I go Jeepin'. Test fitting several duffle bags!